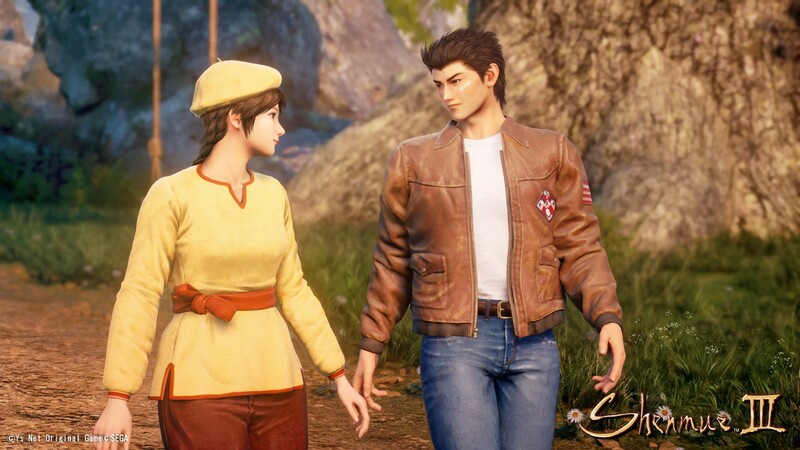 We asked Prof. Simone Bregni, professor at Saint Louis University, who uses video games to teach Italian language and culture to foreigners, to explain the cultural and didactic value of the “Shenmue phenomenon”. 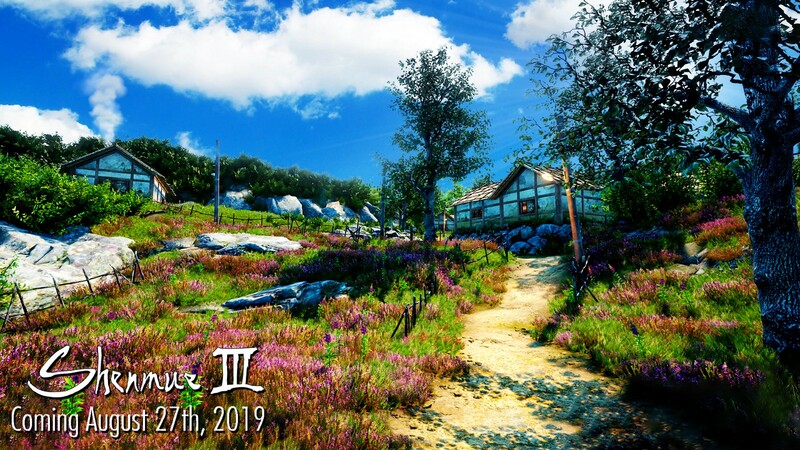 With the release of the HD remasters of Shenmue and Shenmue II a few months ago, and the arrival of the third chapter next summer, the opportunity was too good to be missed. These events give us the opportunity to explore the reasons for the success of this video game, as well as to analyze some elements that often remain latent when we talk about such an important title. Shenmue has become a phenomenon over time, presenting mechanics and game dynamics unknown for the time. The most important element of the Japanese title is the one that allowed an almost total identification in the Japanese culture thanks to a cinematic experience. We asked Prof. Simone Bregni, professor at Saint Louis University who uses video games to teach Italian language and culture to foreigners — and a great fan of the series — to explain what this title represents for him and what its cultural and didactic value is. “Shenmue is really a gaming milestone. I’ve played thousands of video games since 1975, but there are relatively few that I consider truly revolutionary. Shenmue, for me, is definitely one of them; it’s the game that opened the door to the “open” experience as we consider it today. 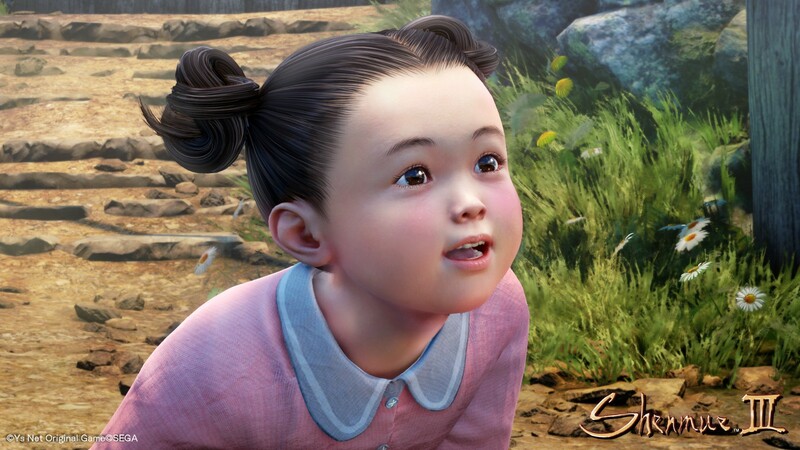 While open exploration games have been around for a long time, long before Yu Suzuki’s Japanese masterpiece was launched in December 1999 (a year later in North America), Shenmue was the first cinematic experience (in the sense of an animated film), with which however, it’s possible to interact directly, actively and dynamically) to explore the re-creation of a “real” world, the reconstruction of daily life in a Japanese city, Yokosuka, in the prefecture of Kanagawa, between the end of 1986 and the beginning of 1987. If it’s true that I have been freely exploring digital worlds since 1981, since the first time I played Adventure on the Atari 2600 (cult game made even more famous recently by the mention in Ready Player One), this was the first time I tried the experience (although it was a simulation of experience, of course) of what it means to live in Japan; experimenting directly, in a digital form, things I had only heard of such as shopping in the “convenience stores”, the typical Japanese supermarkets; or buying cold canned cappuccino from coin-operated machines; or observing closely the votive offerings in a Shintoist temple that really exists in Kanagawa, recreated in the game in a realistic way. The first time I heard about Shenmue was in mid-1998; I had been in the U.S. for four years, and I was in Connecticut, where I was studying for my doctorate and teaching. In the “Rumor Mill” column on Electronic Gaming Monthly (EGM) magazine, the topic was a project by Yu Suzuki, the SEGA company game director that I considered the most talented, and that I had already venerated for over ten years, since the release of Out Run and Space Harrier in the arcades. A project originally planned to come out for SEGA Saturn but eventually moved to the new console, the Dreamcast, which would be launched shortly after, carried the preliminary title of “Virtua Fighter RPG”. Back then, the Virtua Fighter series was of great appeal, and one of SEGA’s flagships. At the beginning of 1999, the most popular magazine in the US at the time, EGM, published a preview article in issue 116 (March issue, but as typical of US publications, published a month earlier) with a description of the game style and screens. Enthusiasm has risen to a thousand. Today we are used to cinematic-style adventures like Assassin’s Creed and Tomb Raider, but then the only way to “play with movies” was with interactive laserdisc like Dragon’s Lair. Beautiful to see, but very limited in gameplay, it was little more than a simple test of reflexes (having said that, I still love lasergames!). Shenmue, on the other hand was playing with a cartoon, for real and with an incredibly wide range of choices and actions. The EGM journalist used some kind of magic formula that had the power to immediately capture the attention and enthusiasm of us ex-little boys of the mid-’80s: in describing the sections of the game QTE (Quick Time Events — as Yu Suzuki called them — parts of the game in which to proceed successfully you need to press within a tight time limit certain keystrokes, following the directions on the screen) he wrote: “It’s a bit similar to Dragon’s Lair”. 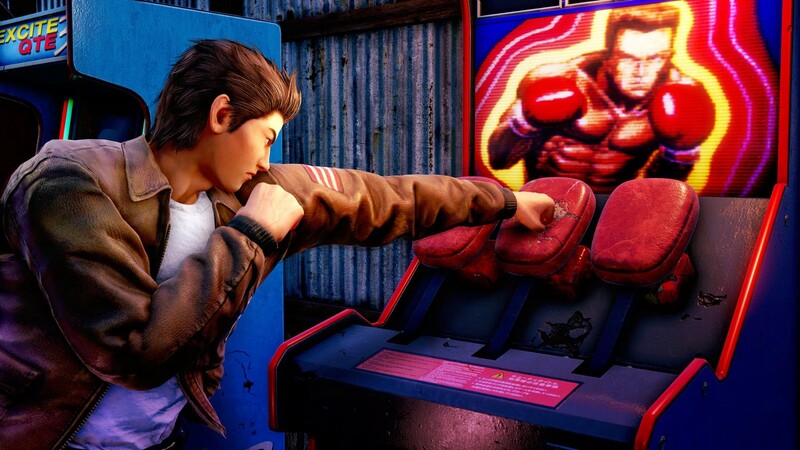 In short, Shenmue was like the myth of childhood/adolescence arcades of millions of gaming fans (well represented in the first episode of the second series of Stranger Things), but better. Thanks to the technological evolution of the last 14–15 years, it was possible to do much more; now it was possible to explore freely, without constraints or limits (which, for God’s sake, there were; but much less evident than in other games until then) a realistic virtual world. All this on a new and highly innovative console, the first to allow you to browse and play online, the first to offer controllers with a mini screen that also functioned as mini-consoles, the first to offer games equal to those of the arcades. Titles such as House of the Dead 2 and Crazy Taxi. I didn’t wait for the release of the official review on Edge in December 2000 issue, to buy Shenmue. I booked it in the now deceased Electronics Boutique chain (absorbed by Gamestop) as soon as the pre-orders had been opened. The day it came out in the US, on November 8, 2000, was a Wednesday and I had to teach, but I remember playing all that late afternoon and all night, until 3 in the morning. The experience that struck me most about those early hours of the game was the realization, as the protagonist, that in the house where I was, I was able to open every single drawer and closet, often finding objects that I could hold and take with me, such as a portable cassette player and cassettes that allowed me to listen to the music of the game (all strictly by SEGA), or open the TV cabinet doors to find a Sega Saturn console inside. Even if it was a nice anachronism (we were in 1986 and the Saturn would not have been launched until November ’94 in Japan), having found it opened a further perspective to the “quest” (the archetypal search of the Holy Grail, represented in this case by the desire of the young Ryo, the protagonist, who seemed to be more or less the same age that I had in 1986, to solve the mystery of the murder of his father) already in progress: I found a console, will I find games too? And will it be possible to play them? The search for the Holy Grail would prove fruitful: a few days later I discovered that hidden in the game were two discs for Saturn, and two bar cabinets, which allowed you to play two SEGA arcade games milestones, also created by Yu Suzuki. Professor Bregni is very categorical on this aspect and explains to us, in his opinion, from where this unjustified “prejudice” comes. He does it with a perfect and evocative example. “The reasons for this bias? Perhaps the fact that often what children and young people find amusing, stimulating and intelligent ends up causing the wrath of the bigotts? I’m joking… more or less. My childhood was marked by the fact that my favorite cartoon, Scooby Doo, was censored and removed by the Italian television (RAI) for being “too violent” in 1972. I was only 8 years old, but I had already understood that some adults didn’t understand so much; we children understood much more. Adults for example, didn’t understand that Scooby Doo was magic; that for a child as coward as I was, he had the magical power to make all fears vanish with laughter, reminding us at the same time that monsters don’t exist, because they were always and inevitably, not monsters but masked villains. Today, as an adult, I have to say that it’s normal for those who do not understand a phenomenon, a technology, or a “new” application of a technology (new is just saying; a lot of young people around the world use video games to improve foreign languages since the mid-80s) to express suspicion, distrust or rejection. This leads to the “pathologization” of the innovative product; it happened with the cartoons featuring Japanese robots, banned from Italian TVs in the mid-’80s for being “too violent” (like my beloved, poor, Scooby Doo! ), and it happens even today, with the (clumsy) attempts of pathologizing the gaming phenomenon. I’ve been playing since 1975 and according to some people I should be a serial killer. Instead, I’m a university professor. Ubisoft is one of the software houses that has believed the most in the potential of learning and educational application in a context within its products that is not strictly playful. As a matter of fact, the manufacturer of the Assassin’s Creed series has created “Assassin’s Creed Origins”, which contains an exploration mode also suitable for elementary schools, where you can for example, virtually visit Alexandria in Egypt and get a lot of information about the history, daily life and prominent characters in that city during the Hellenistic era. “They even reconstructed “Koiné”, the Greek dialect of that time, commonly used in that area. We do not know exactly how it was pronounced, but the experts at Ubisoft have done a great job, reconstructing as faithfully as possible, from known datas, the sound that probably had that language. Maxime Durand, historian who directs the research section of the Assassin’s Creed series, invited me and a group of other educators from schools of all levels who use the series for educational purposes to join a forum to share and further explore educational uses of the series”, comments Prof. Bregni on the virtues of the Ubisoft title. For the fans, from the fans! 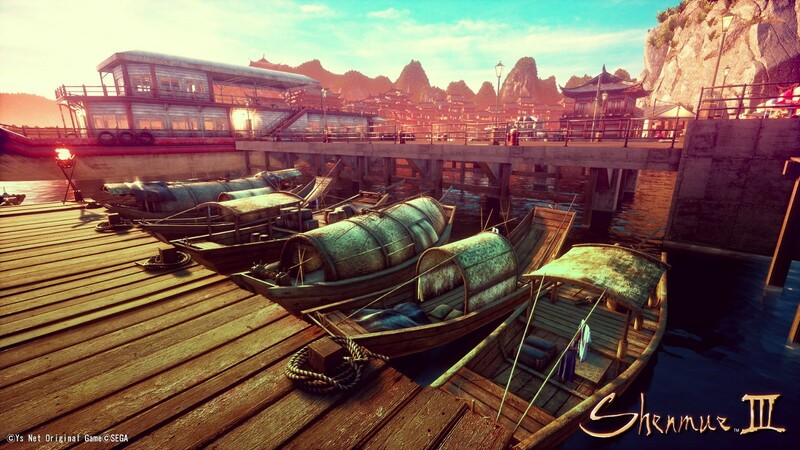 Created to support the Shenmue Series.